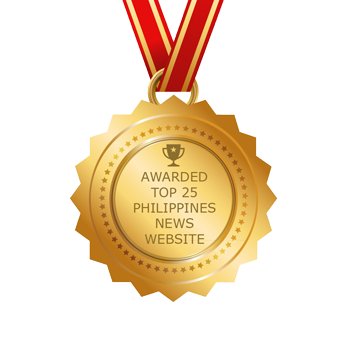 (Eagle News) – The commitment to protect the country’s thousands of overseas Filipino Workers in Israel and Jordan, $140 million in combined investments, cooperation in the defense and the fight against terrorism, education, labor and human resources, as well as the respect and strengthened friendship for the Philippines by the two important Middle East countries. These were just among what Philippine President Rodrigo Duterte said were his achievements in his successful trip to Israel and Jordan where he had met and talked with the two countries’ leaders, primarily to ensure that the OFWs there are protected. 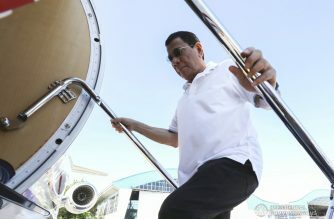 “As I have repeatedly said, your Government will continue to do its part to ensure that the rights of our nationals working abroad are protected, enhanced and upheld,” said President Duterte shortly after his arrival Saturday at the Davao International Airport, a day earlier than scheduled. “Certainly, the welfare and well-being of Filipinos overseas received full attention in discussions during the twin visits. I am pleased to report that working and living conditions of our countrymen in Israel and Jordan are expected to improve even further,” he said. 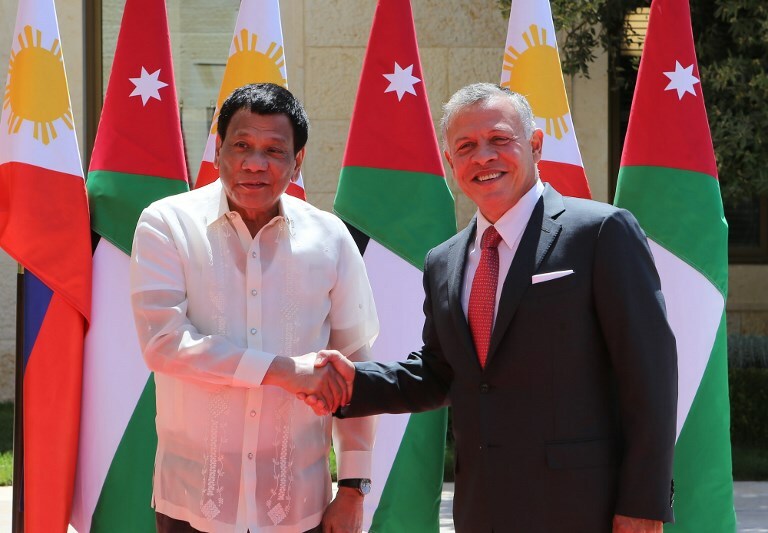 Duterte’s trip to Israel and Jordan brought the commitment of the leaders of the two countries to protect the thousands of overseas Filipino workers working there – 42,000 OFWs in Jordan and 28,000 in Israel. 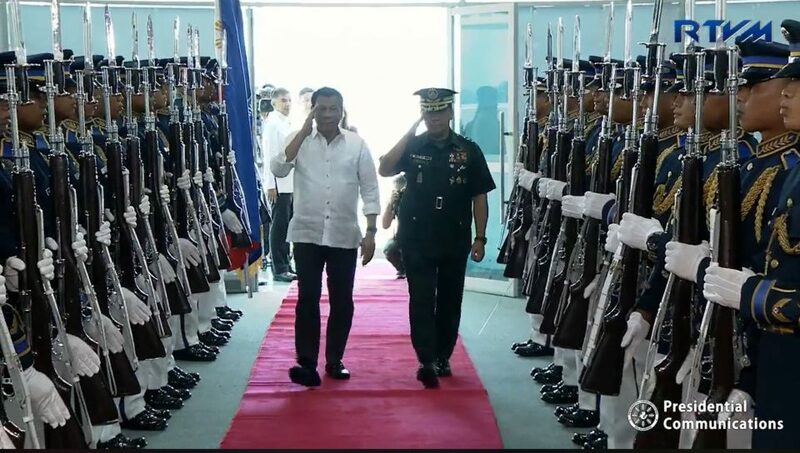 He is the first sitting Philippine president to visit the two countries. 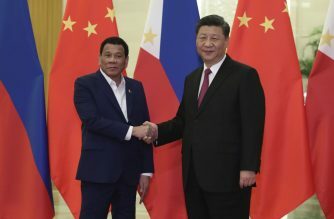 The 73-year old Philippine leader also renewed the friendship of the Philippines with the two countries. “I am glad to be back after my official visits to the State of Israel and the Hashemite Kingdom of Jordan. I am pleased to renew the Philippines’ friendship with two important countries in a region of crucial significance to our nation,” the President said in his arrival speech. 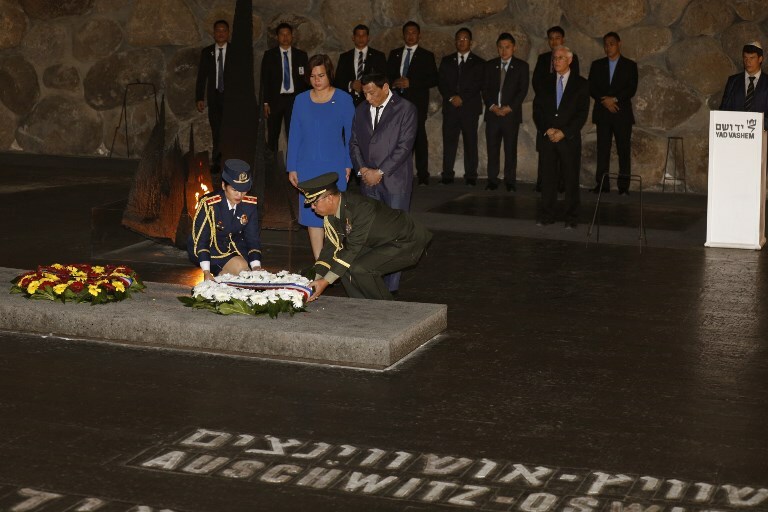 The President met and talked with Israeli Prime Minister Benjamin Netanyahu and Israeli President Reuven Rivlin as well as visited the Holocaust Memorial and the “Open Doors Monument” while in his four day visit in Israel. Both the Prime Minister and the President recognized the strength and depth of our meaningful shared history and the common values that bind our nations and peoples. Netanyahu also recalled how a Filipina caregiver took care of his father until he died at the age of 102. “She took care of my father everyday and when he passed away, she took care of his brother, niece until he passed away,” the premier said. 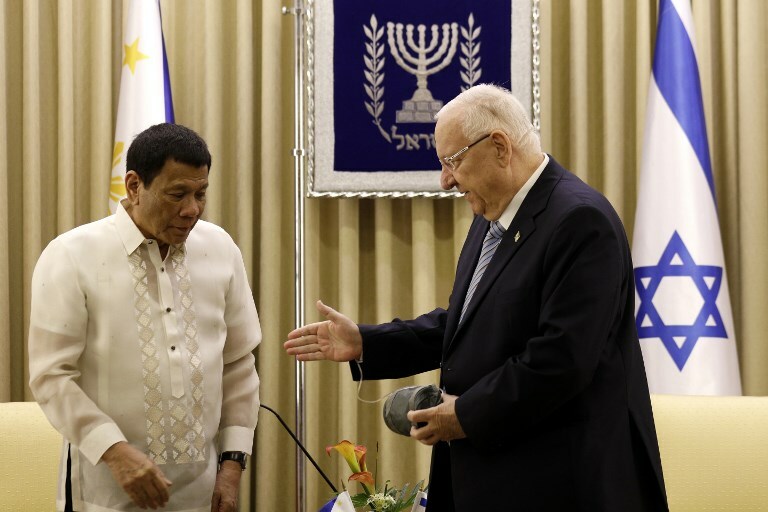 Netanyahu also thanked the Philippines for being the only Asian country to provide a safe refuge for thousands of Jewish refugees fleeing the Holocaust in Europe during World War II. “We remember that the Philippines was the only Asian country that voted for the establishment of the State of Israel in the UN resolution in 1947,” the Israeli premier said. Among the three important agreements signed were those in “trade, in science and, no less important, in caregiving,” Netanyahu said. 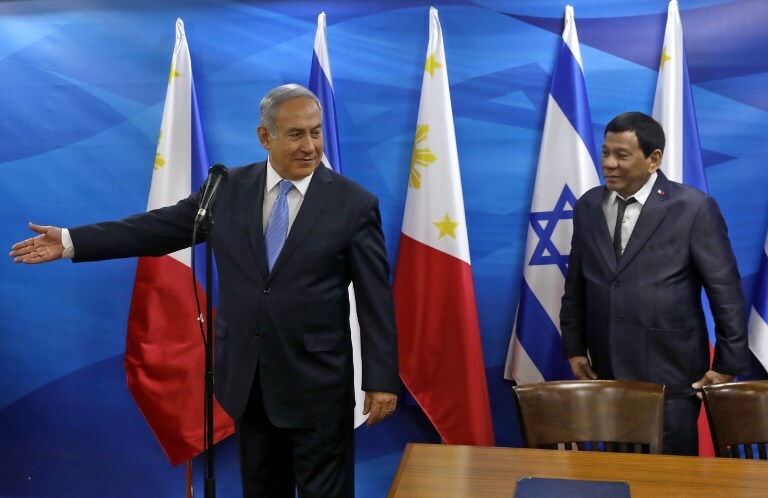 Duterte had earlier thanked Israel for treating Filipino workers there with compassion and dignity. “In Israel, the signing of the agreement on the employment of Filipino caregivers will help address the issue of exorbitant placement fees that cost our OFWs anywhere from 8 to 12 thousand dollars,” the President said. In Israel, out of the 28,000 Filipinos in Israel, 24,000 are caregivers. Duterte and Netanyahu also discussed the possibility of having direct flight between Philippines and Israel. He also invited the Israeli premier to visit the Philippines. 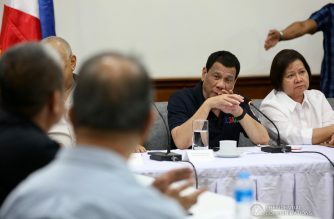 “Together with His Majesty’s Cabinet, we discussed ways to expand cooperation in two-way trade and investment, human resource development, interfaith dialogue and tourism, and other areas of governance,” Duterte said. “Trade and other similar missions will be launched to give greater impetus to these efforts,” he said. “And I believe that this is a new era of cooperation, as we have discussed privately, that has already been on many levels,” he said. The King also expressed hopes of visiting Manila along with government officials and the Jordanian private sector to look into the “tremendous opportunities” in the Philippines. “And I hope that this is an opportunity for me then to be able to come back to visit your country, not only with our government officials but to bring the Jordanian private sector to also look at the tremendous opportunities that your country has to offer,” he said. “And again over the past several months, if not the past year or two, the cooperation between our two countries to fight the evil that you have to suffer in your country as we suffer in ours, I think, is a testament to the international cooperation and coordination that is now becoming much more apparent because this is an issue that’s going to last with us not only for the next five to 10, 15 years,” he noted. President Duterte in his discussions with the King reiterated that apart from enhancing the two nations’ bilateral relations, the Filipino people remain to be his main priority in the Middle East. “I would like to assure you that we have come here to pledge our friendship, our cooperation to you. And our national interest here in the Middle East, mostly…the thousands of Filipinos,” President Duterte mentioned to the King. As of December 2017, the Philippine Embassy in Amman reported that around 42,000 OFWs, majority of whom are employed as household service workers, have entered the Kingdom. There has also been a significant growth of OFWs in the hotel and restaurant industry, as well as Filipino nurses in Jordan. Jordan and the Philippines signed the Cooperation Framework on Employment of Domestic Workers, which renews the 2010 agreement on the employment of Filipino domestic workers and sets the perimeters to ensure the protection and promotion of the rights and welfare of Filipino workers in Jordan. The MOU on Labor Cooperation between Jordan and the Philippines that regulates labor deployment, exchanges, communication, and studies on labor and provides provisions to protect Filipino workers was also signed. Also signed was the MOU between the Jordan Investment Commission and the Board of Investments of the Philippines, which aims to promote an exchange of information on investment environment and opportunities and share experiences in attracting foreign investment. One of the agreements inked was the Memorandum of Understanding (MOU) on Political Consultations between the Ministry of Foreign Affairs and Expatriates of Jordan and the Department of Foreign Affairs of the Philippines. The MOU aims to establish a Joint Commission for Bilateral Cooperation, which will facilitate consultations in all aspects of the bilateral relations and the exchange of views on bilateral and international issues of mutual interest, and evaluate the development of their cooperation as well as the need to expand it to other areas. Also, signed was the Memorandum of Understanding on Defence Cooperation between the Jordan Armed Forces-Arab Army and the Department of National Defense of the Philippines, which is expected to provide a framework for cooperation in the field of defense, by reciprocity and mutual benefit. Defense and Security Policy; Defense and Military Education Training and Capacity Building; Peacekeeping Operations; Humanitarian Assistance and Disaster Relief; Logistics and Maintenance; Armaments and Military Equipment; Defense Industry and Technology; Research and Development; and any other areas as may be mutually decided. Furthermore, another agreement inked was between Jordan Maritime Commission and the Maritime Industry Authority of the Philippines concerning the Recognition of Certificates under the Terms of the 1978 STCW (Standards of Training, Certification, and Watchkeeping for Seafarers) Convention. This deal sets the standards on seafarers’ training, certification, and watchkeeping practices. President Duterte said that the area of investments is another major achievement for the twin visits. 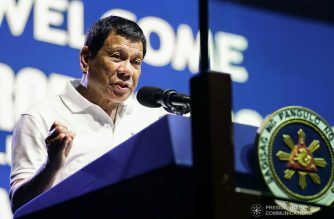 He said the Philippines was able to conclude “a number of government to government and business to business sector agreements” in Israel and Jordan. 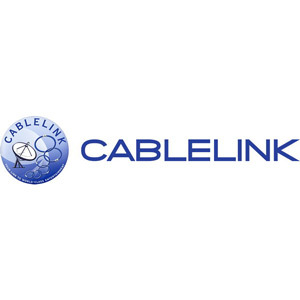 “Investments generated are valued at over 140 million US dollars and expected to generate over 1,200 new jobs. This, we believe, is only the beginning,” he said. “As we reaffirm the Philippines’ position in maintaining and promoting peace and stability in the region and pursue our independent foreign policy, we are showing that the Philippines is, indeed, a friend to all and an enemy to no one,” he said.